I'll be honest I haven't even opened them yet (I'm saving them for a special occasion!) but the packaging is so cute and on point. I just trust these brands. They have earned my trust. Plus, in the land of being superficial about how products look and wanting things that work - these people have proven their metal. Plus, I've done a deep dive on the ingredients and they are so on point. I feel like a hoarder who's scared to open them and use them. I will get over it. Until then, I'll just be freaking out over how adorable they look all nestled together with my fancy purse. Don't worry, I'll be posting back here soon with a video and a full review. Hopefully before they sell out. 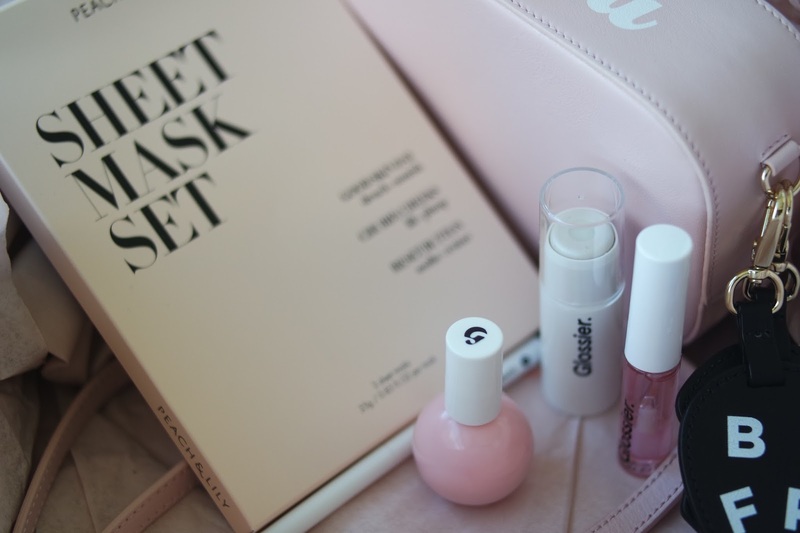 **And yes, exclusive - the products in the glossier set can only be bought in the set and only through the new year.